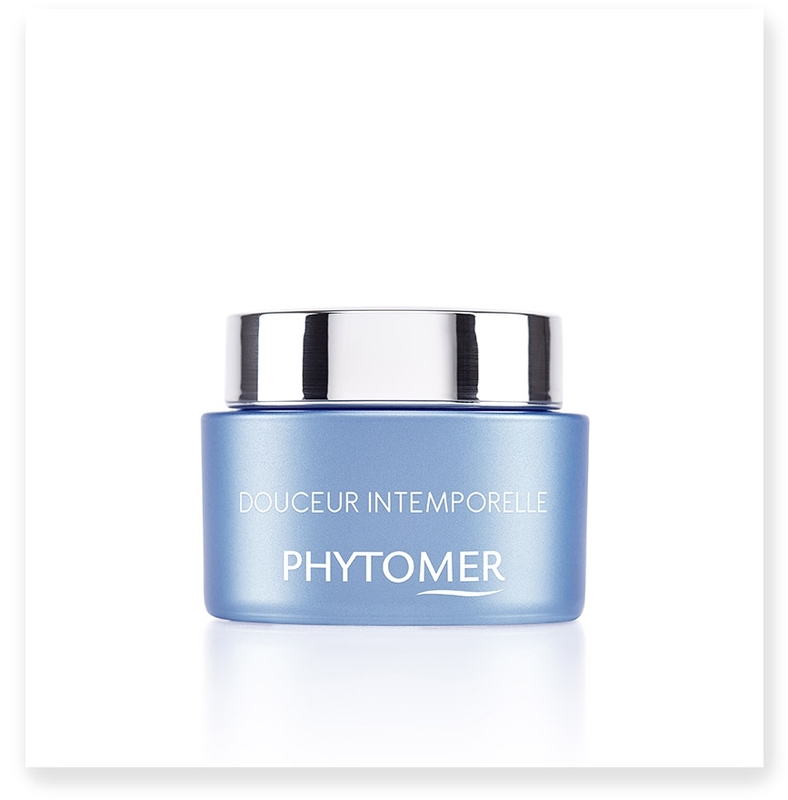 PHYTOMER comes to the rescue of sensitive skin with DOUCEUR INTEMPORELLE, a soothing and anti-aging formula at the forefront of innovation. Its marine biotechnology complex strengthens the defense barriers of skin to reduce inflammation and skin aging. It has a hypoallergenic "band-aid" texture and provides instant comfort while conveniently covering red patches. Gently apply using circular motions in the morning and/or evening onto clean, toned skin. GLYCOSEA consists of strengthening and restructuring plankton sugars from marine biotechnology combined in a complex of intensely soothing mineralsand trace elements. Intensely soothing safeguard care with a combination of ingredients that provide immediate softness and comfort for sensitive skin. A high-tech marine infusion that combines restructuring plankton sugarswith intensely soothing minerals and trace elements.